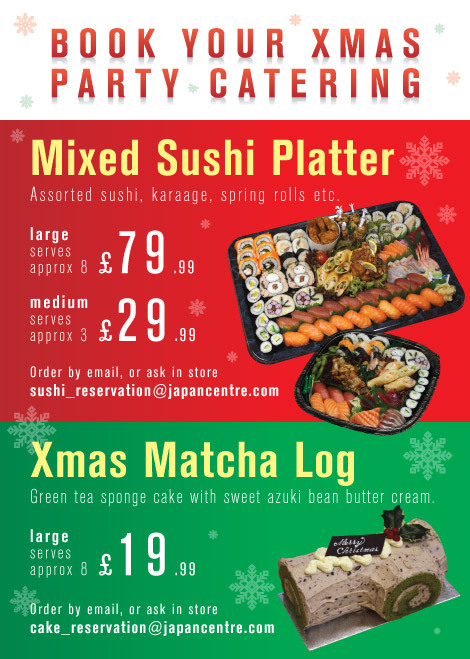 If you are planning to have a sushi party this Christmas at home or even at the office, why not look at some of our catering options. Besides just sushi, umai can bake you a delicious Japanese style Christmas cake made with green tea and azuki sweet red beans! Please book 3 days in advance. Pick up at Regent St store only. Last collection 3pm, 24th December 2010. Please ask our staff for more details. Posted in Food and tagged christmas, sushi, xmas. Bookmark the permalink.